grew up in Lowestoft and now lives in Pakefield. Studied baroque violin at the Royal Acadamy of Music with Mica Comberti. 2001/2002 member of the European Union Baroque Orchestra. He toured China, Mexico, the Caribbean islands and all over Europe. 2003 Irland tour with Handel „Ariodante“ . He teaches violin and viola at Saint Felix School. He directs Norwich Baroque, and works as Orchestral Manager for The Old Street Band, the period instrument orchestra of English Touring Opera, for whom he also plays baroque violin and viola. 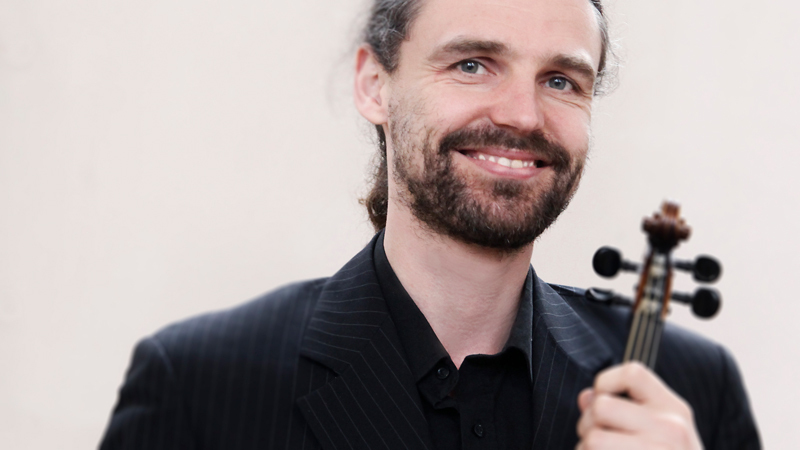 Jim has played baroque violin and viola regularly for Adrian Chandler and La Serenissima since 2002, including on the Gramophone award-winning CD 'Vivaldi: The French Connection’. He also plays folk fiddle and calls dances for Licence to Ceilidh, a band he co-founded in 2001. LTC have been featured on Gok's Fashion Fix, BBC2's Great British Menu, and most recently on the E4 series Made in Chelsea.